Another in the range of small original paintings I now offer. 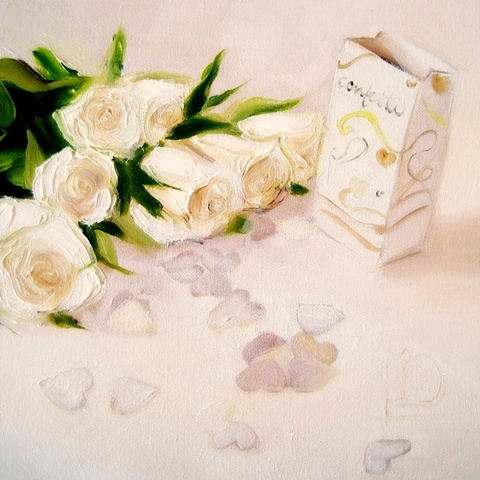 This painting has a distinct wedding theme, with creams and whites... there's a box of confetti, little confetti hearts scattered and roses from the Bride's bouquet. Don't forget that you can commission a painting to commemorate your own special day. Just get in touch to talk about what you'd like.